Step up to JBL-quality sound in an in-ear headphone with enhanced frequency response, a comfortable fit and tablet/smartphone-friendly features to keep you plugged-in and portable. JBL fully realizes the need for quality sound, the E10 combines this with an ideal fit for today’s on-the-go lifestyle. 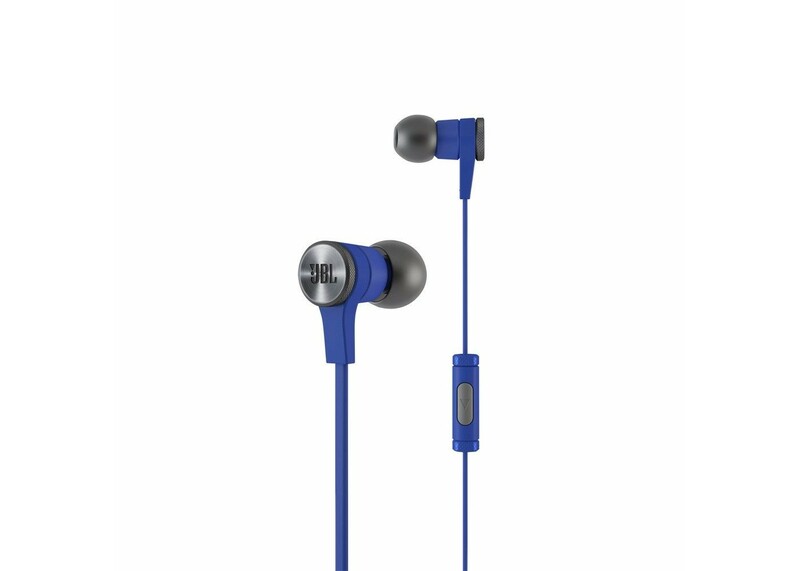 JBL Synchros E10 in-ear headphones are a tablet/smartphonefriendly solution opening the door to full-spectrum, JBL-quality sound thanks to PureBass performance and 8mm drivers. From essential features including a secure, comfortable fit, lightweight design, advanced styling – in a variety of colors to choose from – to their handy, inline, one-button remote/mic and widened frequency range, you’ll enjoy more performance than you might ever expect. The added touch of including a lightweight carrying case, to safely transport your E10s, underlines their portability. Why deny yourself the best sound possible when there’s an affordable, in-ear headphone that speaks so highly of your good taste? No matter the device you’re using, clear sound and convenience is yours. You’re in control – from smartphone to tablet – with the push of an inline, one-button remote/mic. From its slim profile to its lightweight flat cable, E10s offer unique, angled ear-tubes and multiple ear-tips sizes for an optimal fit, reducing ambient noise for better listening. Sounding good is second only to looking good and E10’s overall sense of design enhances ownership with cool colors and a carefully branded look to suit your style. Taking quality sound on the road is something JBL does very well. With a lightweight carrying case, it’s no different for your E10 headphones.